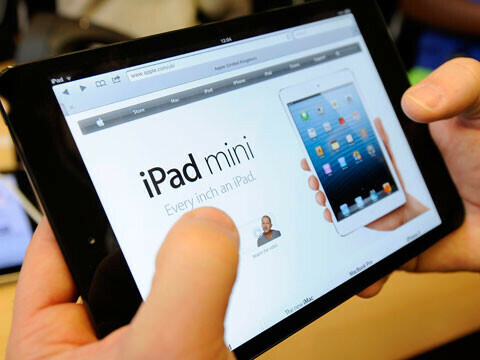 You might remember that the other day a large shipment containing 3,600 Apple iPad minis was stolen right after it arrived at New York's JFK airport. Thanks to stupidity and good police work by the cops, the mastermind of the heist was busted on Friday. Renel Rene Richardson was taken into custody by the FBI in relation to the stolen Apple iPad mini units. Richardson and two unnamed accomplices worked at the airport in the Cargo Air Services building where ironically, the 1970's Lufthansa heist memorialized in "GoodFellas" took place. Richardson was a lookout during the Apple iPad mini robbery while his two man gang used a forklift to load two pallets of Apple's 7.9 inch tablet onto a truck. After being questioned by an co-worker not involved in the incident, the two drove away with the stolen merchandise. The NYPD locked onto Richardson after his fellow workers told them that the day of the heist, Richardson kept inquiring when the shipment of Apple iPad minis would arrive. He also asked around about where he might be able to find a forklift. If you are planning on stealing 3,600 units of a tablet from an airport, asking incessantly about when the devices will arrive is not smart. And if you plan on using a forklift to commit the crime, asking co-workers where you might find one could lead to the finger of suspicion being pointed directly at you. Port Authority detectives found out about Richardson's inquiries and quickly tracked him down. 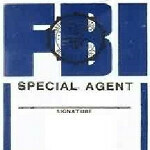 The FBI arrested him and he led detectives on a search for the truck throughout Long Island. At this point, it is not known if the truck containing the Apple iPad mini tablets has been found and the FBI will not comment. The value of the stolen tablets has been placed at $1.9 million. If you are going to steal that many iPad mini's and be that obvious about it, you deserve to be caught. nah just if you steal you deserve to be caught. obvious or not. I just don't understand the obsession people have over Apple products. Relatively speaking, this was a teeny-tiny heist and not worthy of an FBI investigation; there are far more important crimes in the U.S. than the theft of mini replicas of a tablet with limited use. Besides, chances were, these "minis" would have wound up on the black market anyway.or Craigslist. Personally, I think the thieves did this country (and, the World for that matter) a great patriotic service and they should not be penalized for it. Well we know the mini is a steal. I guess they didn't really steal it...just borrowed it for some few days till the FBI figured it out. Richardson literally took the saying, "When you want to steal, just take it, don't steal"
What an idiot, now b a good boy and run along to prison. it's been over a month since the incident. bet they already sold everything.